April 16, 2000, will go down as the most important day in the history of the New England Patriots. That’s when the franchise selected Michigan quarterback Tom Brady with the 199th pick in the sixth round of the 2000 NFL Draft. It was perhaps the greatest decision any team has ever made because Brady was lucky just to make the team, never mind becoming the greatest quarterback of all time. 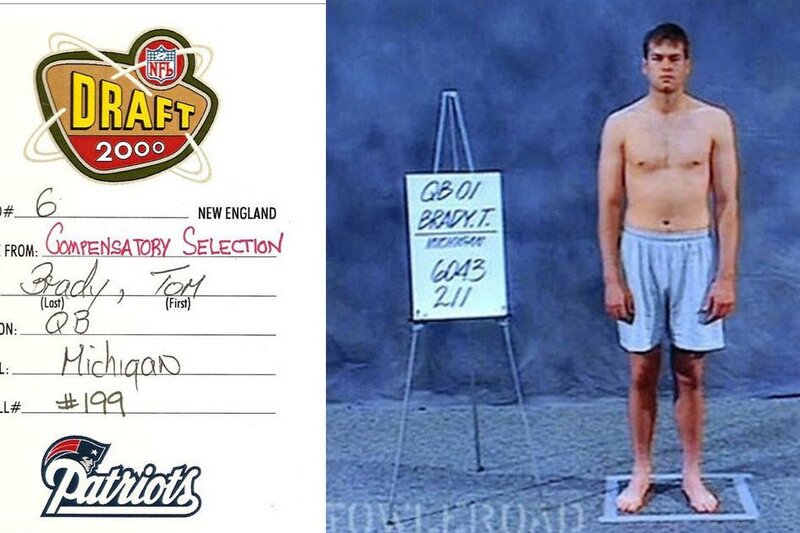 Brady was such an afterthought in the 2000 draft that 6 quarterbacks were selected ahead of him. Outside of Pennington who had some success with the Jets and Bulger who would have a few quality years for the Rams, the rest are footnotes in history. And it has been over a decade since we have heard from the others. Brady’s rise to the top is one of the greatest stories in the history of sports, never mind all his accomplishments on top. The best part is Brady is still far from done heading into his 20th season.